So many elements go into a truly good book. When we turn that final page with a satisfying sigh, it’s often hard to identify just what made it a success. But many times, symbolism is one of the things that ties the whole work together. Done sloppily, it’s heavy-handed and forced, and turns the reader off. And when it’s done well, symbolism is one of those elements that the reader doesn’t notice; they just recognize that everything worked. It’s an important element, but really hard to do well. That’s why I’m glad to have K.M. Weiland here today. 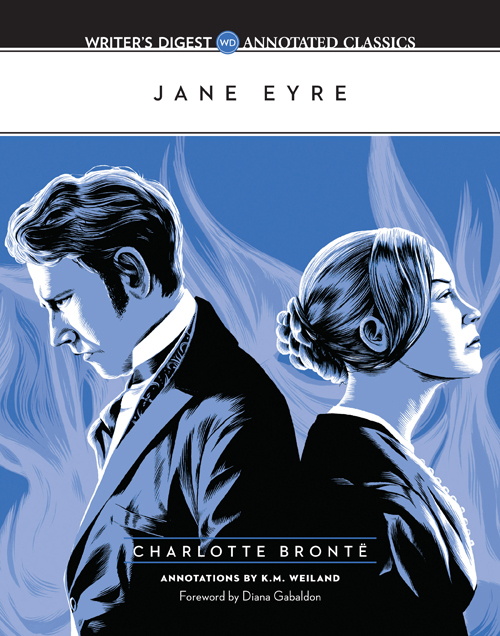 Symbolism is just one element that she tightens the focus on in her latest release: Jane Eyre: Writer’s Digest Annotated Classics . I had the pleasure of reading this arc, and it was so incredibly interesting, seeing a classic analyzed to see what made it a success. It frankly would have scared the poo out of me, being the one to pick apart such an iconic, well-known novel, but Katie totally nailed it. So rather than blather on, I’ll just turn things over to the expert ;). Symbolism can sometimes be a tough concept for authors to get their heads around. How do we come up with the right symbols in the first place? What should they be symbolic of? And how do we incorporate them into our stories without making them so obvious we lose all their symbolic value? Symbolism offers one of the richest opportunities for writers to deepen their themes, past just the conscious appreciation of the readers and right into their emotional and subconscious cores. That’s a lot of power right there. And we’d be crazy to leave it on the table. Charlotte Brontë’s classic masterpiece Jane Eyre (which I analyze in-depth in my book Jane Eyre: The Writer’s Digest Annotated Classic) is a wealth of symbolism. You want to know how to do it right? All you have to do is learn at Brontë’s feet. Following are five methods of symbolism she used to enhance every aspect of her story—and which you can use too! You can include symbolism in even the smallest of your story’s details. The colors your characters wear. The movies they watch. The pictures they use to decorate their apartments. All of these details offer the opportunity for symbolic resonance. In the first chapter of Brontë’s story, Jane Eyre is reading a book called Bewick’s History of British Birds, which features significantly bleak and desolate descriptions of the English landscape. On the surface, these descriptions have no connection to Jane’s world—except that, of course, they do. Brontë could just as easily have given Jane a cheery romance to read. Instead, she used the bleak descriptions to symbolize Jane’s bleak life as an orphan living with her cruel aunt. A motif is a repeated design. In a story, a motif is an element repeated throughout the narrative, often to obvious effect. Sometimes, however, it will be used in a less conspicuous way that infiltrates the readers’ subconscious with a web of symbolic cohesion. Early on, a servant sings a song about an orphan girl. Adele, the child Jane is hired to look after, is ostensibly an orphan. When Jane encounters the Rivers family, late in the story, she discovers they are newly orphaned themselves, after the death of their father. Brontë never draws attention to the motif by directly comparing these examples to Jane’s own orphaned state. Rather, she simply allows their presence in the story to reinforce the overall effect. Motifs can also be metaphors. Indeed, some of the best symbols in literature are visual metaphors for thematic elements. You may choose to use fire to represent a character with a hot temper. Running water may become a symbol for purification. Illness might represent sin or corruption. The main metaphoric motif in Jane Eyre is that of birds as symbols for captivity and freedom. Brontë uses the bird metaphor throughout the story to symbolize the relativity of every character and setting in relation to this fundamental theme. Small, plain birds such as sparrows represent Jane. Birds of prey refer to Rochester. And Thornfield—Rochester’s prison and Jane’s sanctuary—is frequently described in terms of a bird’s cage. Often, strong metaphoric language will emerge naturally while writing a story. In the rewriting, see if you can identify any recurring motifs that crop up. Can you strengthen them to better represent your theme? Try to figure out ways to use different aspects of the same motif to describe varying characters. Weather is a particularly good example. Thunderstorms are often used as the background for a character’s defeat—or as a contrast to a seeming victory. When Jane accepts Rochester’s proposal, the lightning that strikes a tree in the garden isn’t just a random happening. It’s a portent of the dark revelations that will soon sunder their love. Some types of symbolism will be so deeply buried within your story that your readers may not recognize them at all. Obviously, the value of hidden symbolism is significantly less than that of other types. After all, what good is something if the reader never notices it? For example, Rochester’s horse is named Mesrour. Very few readers will catch the significance of this: Mesrour is the name of the executioner in Arabian Nights. Why name the horse this at all? Why not Blackie? Or even O Beauteous One? For starters, both of the latter names would have been a poor use of our Symbolism Type #1. “Mesrour,” even without explanation, enhances the already dark and mysterious tone of the novel. And for those readers who do catch the obscure reference, the symbolism will only be that much stronger. Symbolism is a delicate dance. But authors can’t afford to overlook it. When choreographed correctly, it can spell the difference between a three-star novel and a five-star novel. Just ask Jane! Looking to Enhance Your Symbolism or find the perfect Motif? Visit Our Symbolism Thesaurus. This entry was posted in Guest Post, Symbolism, Writing Craft. Bookmark the permalink. This isnt all symbolism. for instance reading a bleak book is character defining, but not symbolism. If i’m going to make a symbol for my novel, is it better in simple symbol like harry potter’s or animal’s symbol like hunger games? Should the symbolics be used to depict the exact current occurences or can I use them to help readers predict the upcoming, not to depict the immediate? You can use symbolism for both, but it’s great for foreshadowing. it’s very helpfull for me to get done my assigment…. if you do not mind, please make an article about how to use symbolism to analyze a poetry…. I’m learning to do this in my own works, thanks to this writing book!! So glad you’re finding it useful, Traci! Great article! Jane Eyre is one of my favorite classics. And symbolism is such an interesting topic! Something to keep in mind when I write my next novel. Jane Eyre is one of the greats when it comes to symbolism! This was well said. Succinct. Thanks, Bruce! Glad you enjoyed the piece. Thank you for this great insight on symbolism. I was strong in English in school and remember how much emphasis was put on symbolism , including having to write papers that require the use of it and other literary devices. It’s often too easy to neglect such things as this. Thank you for much needed reminders such as this! It’s also one of those things that be difficult to identify, since it is necessarily so subtle within context. Sometimes it can be tough to get our brains around a conscious application of something the reader will need to ingest subconsciously. Good for you! Effective symbolism can take a story from acceptable to something special. I’m going to echo Becca–I LOVED your annotated Jane Eyre. Well, I love all your books, haha, but this one I felt was made for me because I struggle to “see the technique” sometimes because I get sucked into good writing so easily. 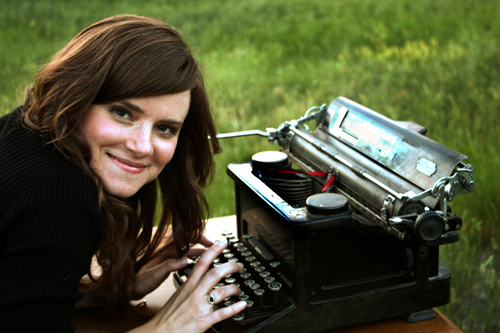 A great learning tool for all writers. So glad you enjoyed the book! I think the whole idea of annotating books specifically writers is genius (I can say that because the editors at Writer’s Digest get all the credit for coming up with it :p ). I’m personally itching to get my hands on the next installment in the series, which will be Dracula annotated by Mort Castle due out later next month. Excellent article, Katie. I’ll be able to apply this during rewrites. The symbolism I have right now is misdirected. And I need to get this book for sure. But at least you’ve already got the symbolism going – and know where it needs to go! I love symbolism. Every character name I choose, I choose because of its meaning. Colors too. One of my characters has green eyes, which represents Shakespear’s “green eyed monster.” He doesn’t show his jelousy right away, but it is mentioned in the beginning, kind of foreshadowing later events (also, green meaning envy). It surprises me sometimes when I give a character a random name, then go look up the meaning and discover how perfectly it fits the character. Thanks for this excellent breakdown of the ways to use symbolism. I agree that when symblolism is used effectively in a novel, it adds to the enjoyment of the story. Symbolism is one of those hidden elements that we don’t consciously miss if it’s not there. But it makes the whole experience so much richer when it is. Nicely put, Katie. Symbolism is so effective in good fiction (especially when it’s not heavy-handed). Really, the key is that *can’t* be heavy-handed. If readers who aren’t even looking for the symbolism notice it, then it loses all of its subconscious punch. Wow! Such a well-written article, K.M. “Jane Eyre” is one of my all-time favorite novels, but I never picked up on the symbolism you pointed out here. It makes me want to re-read the book again. 🙂 Thank you for sharing your insights! The best symbolism is what you *don’t* pick up on. It needs to flow so seamlessly within the story that it’s never a hiccup on the reader’s conscious mind. Thanks for this excellent article. I do, however, challenge the idea that hidden symbolism isn’t as powerful as more obvious symbolism. If symbols exist under the surface of the language maybe they penetrate our souls under the surface of our consciousness – which arguably has a deeper and more profound effect? Hidden symbolism’s value is only less if the reader is totally unaware of the significance. For those who have no idea what “Mesrour” means and have never seen the name before, it’s probably not going to mean much, even subconsciously. But otherwise, I totally agree. The power of symbolism is always in its subtlety.